Realty firm Aparna Constructions and Enterprises is diversifying into commercial and retail real estate to beat the slowdown in residential sales. The Hyderabad-based construction major plans to develop over five million sqft of office space and around a million sqft of retail projects across Andhra Pradesh and Telangana to drive growth. The company will invest over Rs 1,700 crore through debt and internal accruals to fund its retail and commercial venture. “We were predominantly a residential development company, but we have to diversify vertically and horizontally to grow our business as the real estate market has suffered both from policy reforms and political turmoil,” said Rakesh Reddy, Director, Aparna Constructions and Enterprises. The Hyderabad property market has been hit by the Telangana crisis followed by a real estate slowdown and policy reforms such as demonetization and the implementation of the good and services tax (GST). While the firm plans to build malls upward of 100,000 sqft, the first commercial project coming up in Hyderabad will be spread over 500,000 sqft. “We will also look at tying up with some funds to roll out our commercial plans as there has been good absorption of office space by multinational companies,” said Reddy. 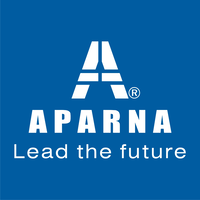 Aparna Constructions and Enterprises has 10 million sqft of residential projects under development with an additional 15 million sqft in the planning and development stage. The Hyderabad property market is seeing large leasing of office space from multinational companies and revival in residential sales. According to JLL, residential sales in Hyderabad have grown 277% among seven major markets since January to September 2018, compared with the same period last year. This entry was posted in News on December 27, 2018 by Venkat Chunduru.